Burghal (or bulgar as it is known in the Western world) is a bit of a staple in a lot of Assyrian kitchens. Used in salads such as Tabbouleh, or in dishes like Khipti (meatball soup) or Kubbah (stuffed dumplings), or as a delicious side dish instead of rice it really is incredibly versatile and very easy to prepare. Last night I made red burghal the way my mum taught me, by frying off some thinly sliced onions and garlic, throwing in a mug of burghal, and then two mugs of boiling chicken stock with a large squeeze of tomato puree (approximately 4 tablespoons). I let it simmer very gently for five minutes, stiring when necessary to prevent sticking, before wrapping the lid of the pan in a clean tea towel, putting it on the pan and turning the heat off. This allows the wheat to steam without it going soggy as the tea towel absorbs the moisture (we also use the same method for rice). 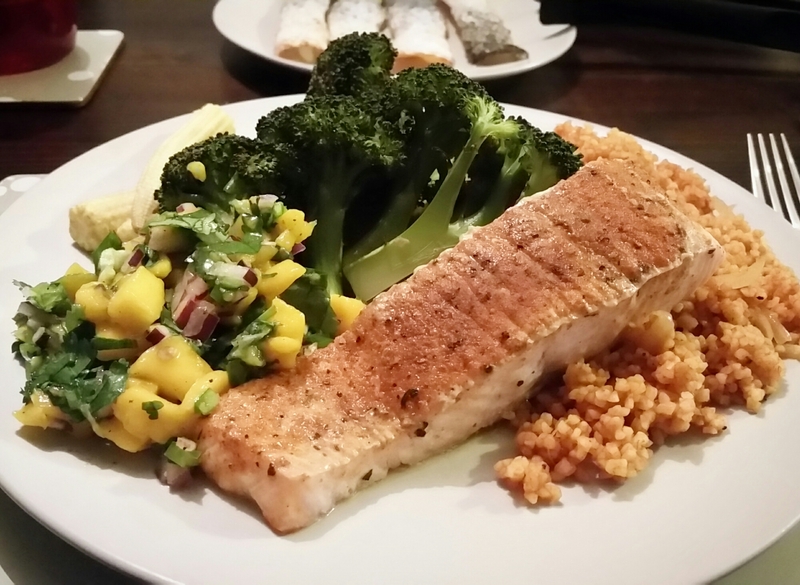 I served it with cajun spiced salmon, roasted broccoli and baby corn, and fresh mango salsa as below. There was a fair bit of burghal left over so for lunch today I made a simple warm salad. 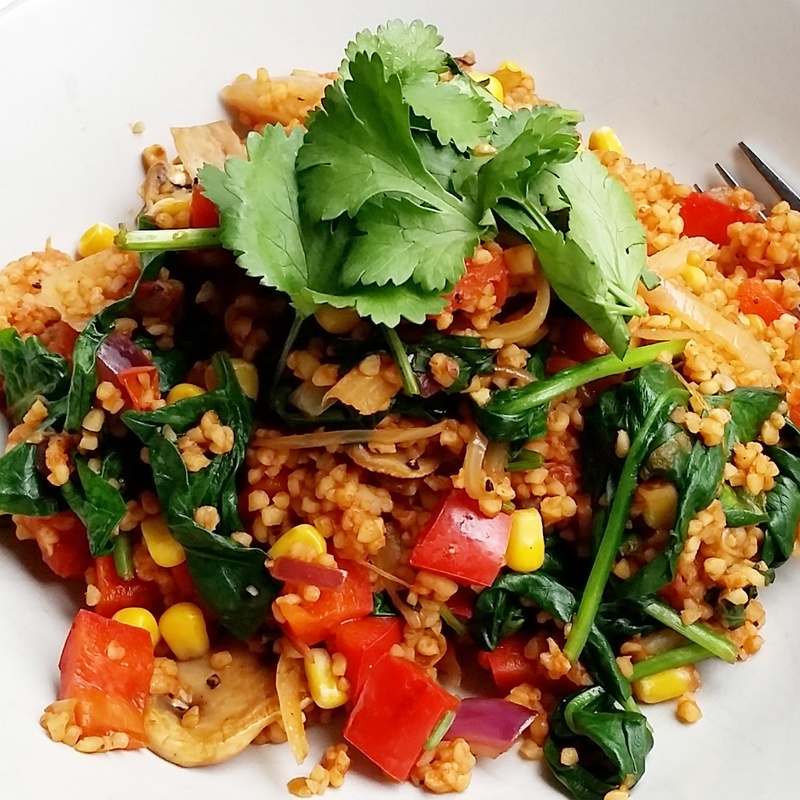 I sauteed off some more onion, garlic, chilli, mushrooms and red pepper, and once they’d softened slightly threw in some frozen sweetcorn, chopped coriander, a handful of spinach and a portion of the bulghar. Once it was all warmed through I seasoned with some lemon juice, salt and pepper. 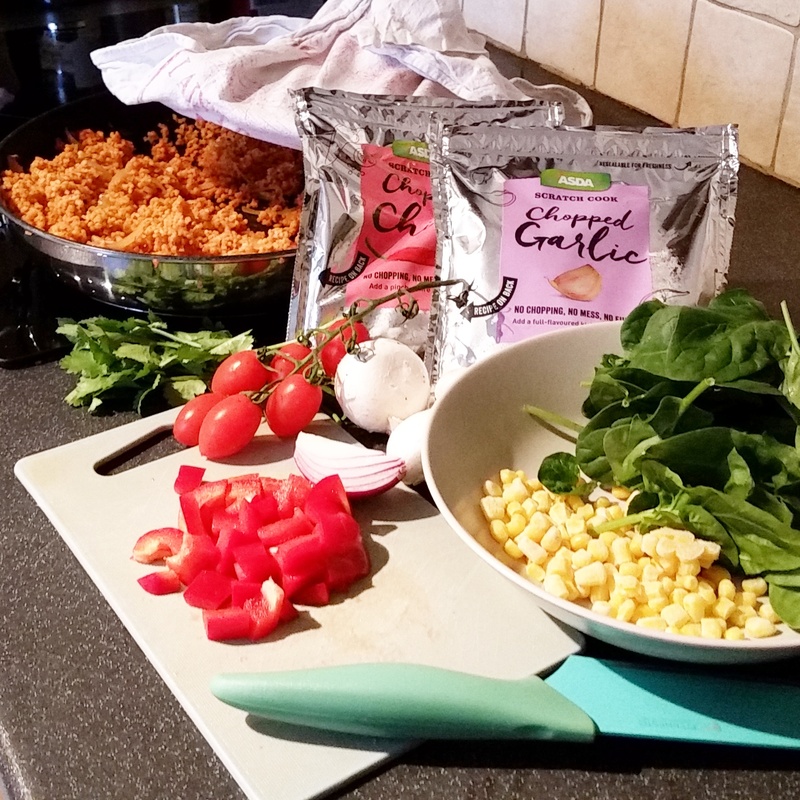 Fresh, quick, healthy and Slimming World friendly!